My dad made the billion hour drive down from Nebraska recently to spend some time with Stephanie and me (bringing with him something like 7,000 tools for use with the house renovation) which proved to be a great visit. We planned out a desk that, one day, maybe we'll make, saw the bees, shot target practice, and generally caught up. 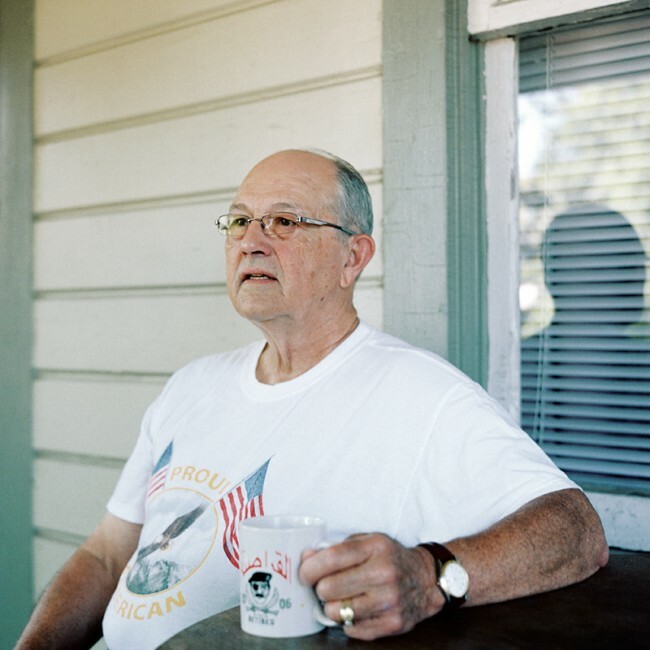 Something about his Proud American shirt makes me think about the Selma story I just shot in a different light. Still working on what it is exactly. 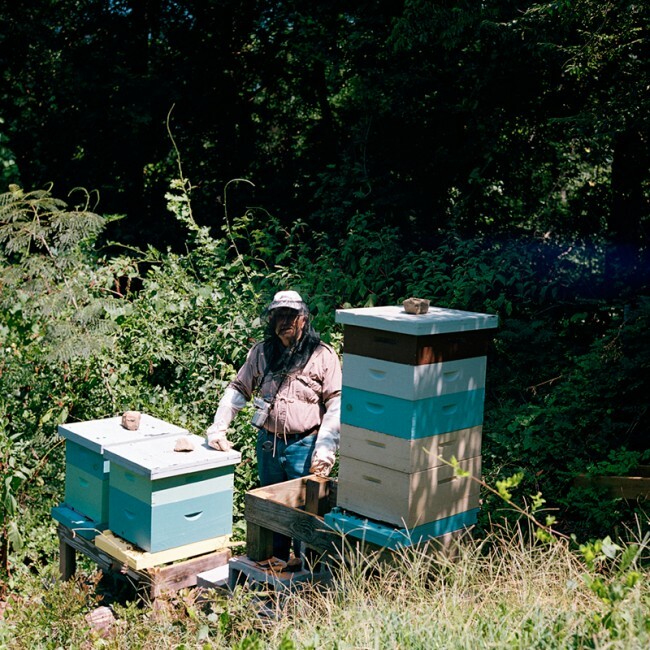 Also, there's something about the shot of him with the bee hives that makes me really happy. It's sort of an awful photograph, but it reminds me of the photos my grandfather would take of me at his hives so that he'd have photos of me helping with the bees. An endearing point of pride and I didn't appreciate when I was younger. Also, dad's camera seems a bit of an anachronism in the age of digital photography. It still works great, no doubt, but has been replaced a thousand times over since he bought it. Some irony is that I shot these photos of him with a film camera almost as old as he is.